New Year's Eve is just around the corner! I cannot believe a year is already almost over. Celebration in the midst. Going to party this year. We usually don't. 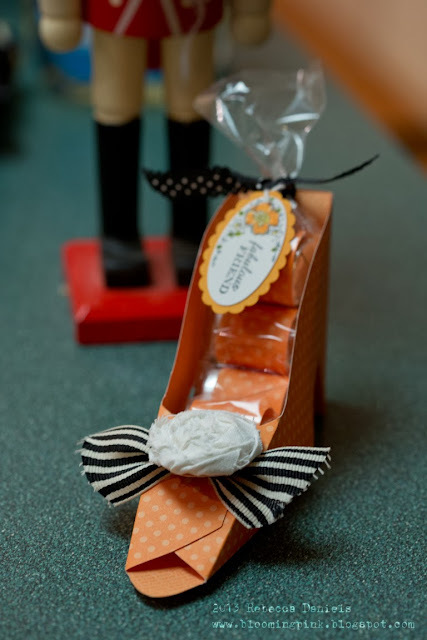 It's really swanky, and the hostess is a fashion queen, so what better gift than a shoe full of chocolate? (well, I can think of few better items, but not ones I can afford). And of course, the focal point and attention grabber is the center. Another wonderful Pinque Peacock Splendid Swirl. So, what are you doing for New Year's Eve? I hope that whatever it is…you feel joy. Great gift for a swanky party, Bek! I'm glad I'll be partying at the nursing home -- much more within my comfort zone. Happy New Year! Spending New Year's eve with our newly relocated family...eating, drinking and being merry! Thanks for sharing this sweet little shoe...adorable, Rebecca!! I hope the New Year brings you all you wish for! awesome project love the shoe! Wow this is so cute. 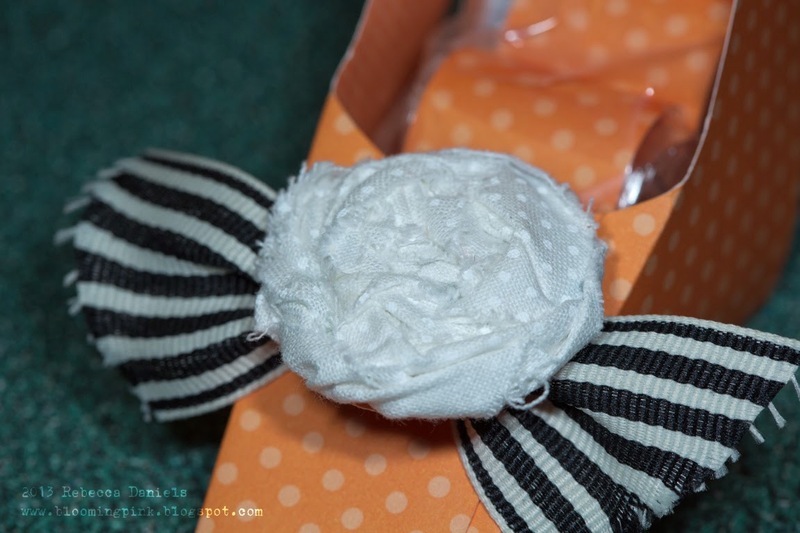 I love the flower and ribbon.